I had planned to spend this week’s post reviewing an awesome book on baseball I received for Christmas (I will post it next week right before pitches & catchers report – yay!). However, I live in New York City, and there is one sports story everyone is talking about this week. No, not the Giants. The Knicks. 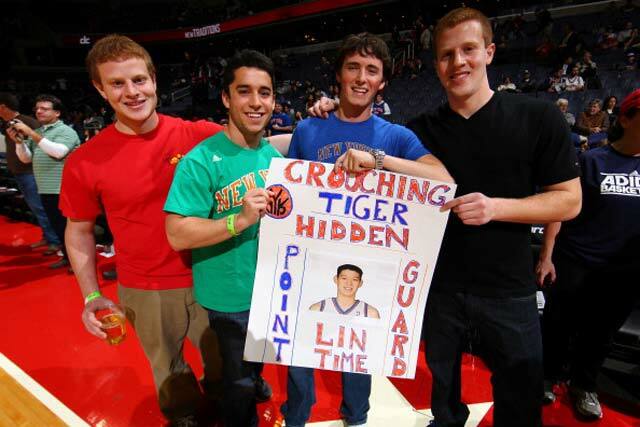 More specifically, Jeremy Lin. You don’t have to live here very long to learn that, although New Yorkers like football (especially if one of the teams is winning), this city truly lives for baseball in the spring and summer and basketball in the winter. And while the Yankees have to split the city with the Mets, the Knicks (for one more season, at least) are in many ways the only sports team the entire city can get behind. Unfortunately, as long as I’ve been here, they’ve also been mediocre at best, or flat out terrible at worst. Knicks fans were promised that the addition of Tyson Chandler in the offseason was the missing piece that would propel the team into the playoffs. To say that hasn’t happened has been a bit of an understatement. Carmelo’s been hurt and/or struggling with his shooting much of the year, Amar’e seems an afterthought in the offense, Chandler’s help on defense isn’t so helpful when no one else can score, and the next great miracle fix? An ailing (and reportedly out of shape) Baron Davis. 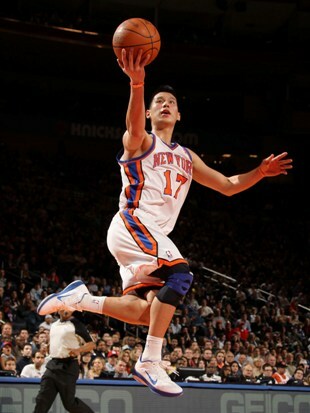 Enter Jeremy Lin, and three completely improbable performances. Enter chatter on my Facebook feed from both diehard Knicks fans and those who couldn’t tell you which three teams they beat. Enter that strange buzz that permeates the city when the Knicks show signs unexpected signs of life. Is it the Harvard thing? Is it the Taiwan thing? Is it a desperate fanbase latching onto anything that looks like progress? Probably a little of all of that, along with that thing in human nature that loves a triumphant underdog. Who doesn’t want their doubters to publicly admit they were wrong? It’s entirely possible that by next week Lin’s hot shooting will have cooled off, or that match-ups with a higher quality slate of teams than the Nets, Wizards, and Jazz (who are decent overall but awful on the road) will send the Knicks back to the barely competent level at which they’ve operated for much of the season. But for this week, New York City has a reason to get excited about basketball again. In the doldrums of February, that’s never a bad thing. This entry was posted in awesomosity, Basketball, Games Mistress, MADNESS!, NBA, New York Knicks by Tres Geek. Bookmark the permalink.